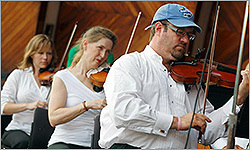 The last day of Boston Summer Arts Weekend focuses on the classical music tradition. Expect a lively lineup of musicians who bring innovative spins on the genre as well as some surprise collaborations among groups. Stay tuned for more artist details. 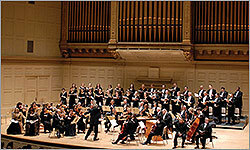 Founded in Boston in 1815, the Handel and Haydn Society is considered Americas oldest continuously performing arts organization and will celebrate its Bicentennial in 2015. See the work of Boston Conservatory's dance students in action during this special music and dance program. 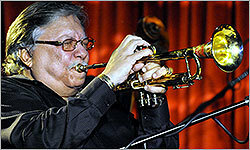 For the third-year in a row, the Boston Landmarks Orchestra is pleased to participate in Summer Arts Weekend, sharing their take on classical music with the weekend audience..
A protege of jazz great Dizzy Gillespie, the award-winning musician Arturo Sandoval is renowned for his mastery of jazz trumpet and the flugel horn. Mark your calendars. From July 26-27, WGBH, The Boston Globe, and Citizens Bank are bringing Summer Arts Weekend back to Boston. 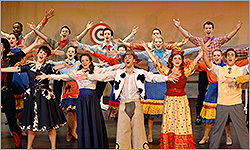 This free weekend event will again feature a dynamic variety of musical artists from across the classical, jazz, blues, folk, and Americana worlds as well as a number of new arts, food and cultural programs. Check back often for more details.